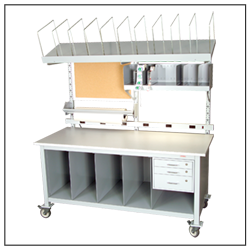 Mounting Rails are fabricated of metal and will accept small, medium, or large bins blue plastic bins. Mounting Rails mount to Solid Uprights (sold separately). 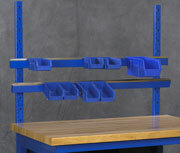 The Slope Kit positions rails/bins at a 20-degree angle.